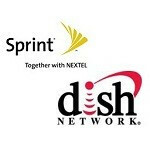 According to a couple people familiar with the potential deal, Sprint and Dish would gain access to each company’s spectrum and share in revenue from the arrangement. Dish would immediately gain access to Sprint’s network, allowing the satellite TV provider to offer wireless service to customers. Sprint would get access to mobile spectrum Dish owns, but is not using. Dish is awaiting a decision from the government on the use of those airwaves, which may be provided next week. Such an arrangement would benefit both companies, as it puts Dish in the wireless business right away, enabling the company to offer service as part of a package to its 14 million TV customers. It helps Sprint by giving it access to more spectrum, of which, Sprint does not own a lot of compared to the bigger players. If there is any truth to this rumor... R.I.P. Dish. I just wish dish would be purchased by another company! Looks like you fell for the Directv commercials' BS. Did you ever really analyze DTV commercials? i.e. Dish has most HD but... 24 are only part time Then they show DTV has 170 full time HD channels (implying that Dish has less, but they are not saying that, just being confusing dumb people) They have also compared their cheapest programming to Dish's. stating how much better theirs was (not saying that they are comparing a $150 then $300/yr plan to a $360 then $660/yr plan) Directv is super dishonest, and you fell for it. Dish wants to use the spectrum to allow receivers to receive service without a dish. Just how you don't need coax to each Joey in the hopper system. Sprint actually does own quite a bit of spectrum, the re-farmed Nextel 800 mhz spectrum is a huge nationwide chunk of spectrum that is being re-purposed thus giving Sprint much more flexibility. Also, that's not counting Clearwire's gobs of higher frequency spectrum which will be used for LTE Advanced and network offloading in highly dense/populated areas. Sprint is in a better position than all the companies spectrum wise. With the shutting down of nextel and using that for LTE and 51% ownership of Clearwire it goes without say Sprint has more spectrum than ATT/VZW.